Humus is said to be the heart of organic matter. 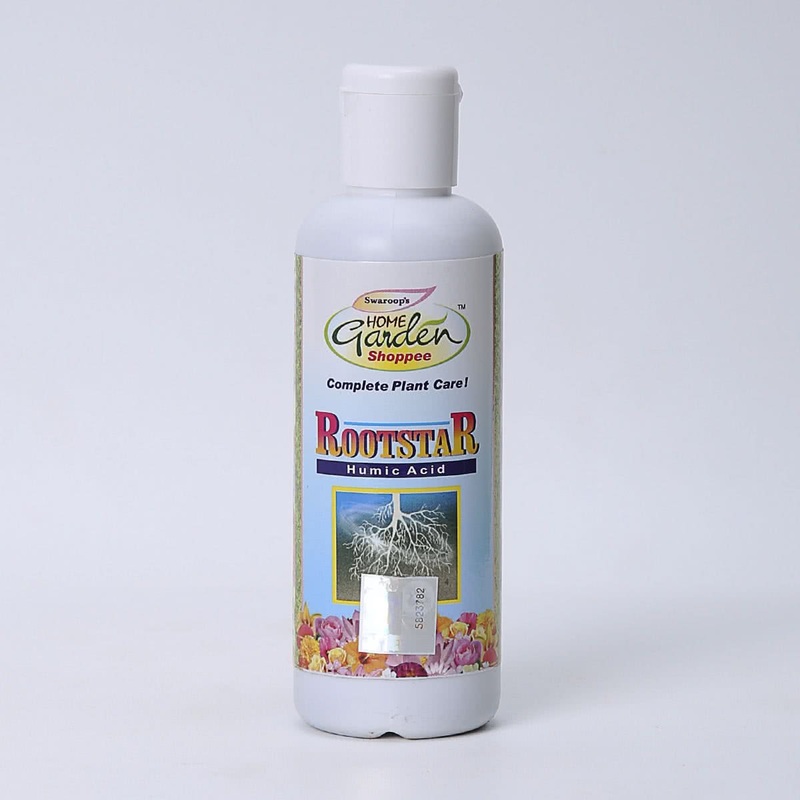 Rootstar contains 12% Humic acid thus it brings the profuse growth of the roots and makes soil airy and porous. This, in turn, enhances the water holding capacity of the plant. 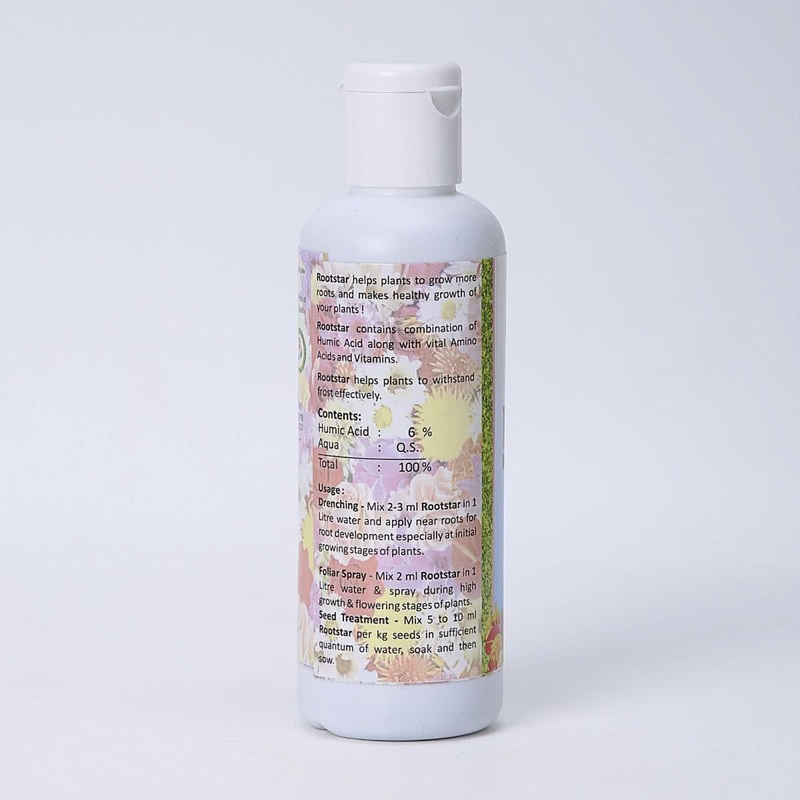 "Drenching : Mix 2 to 3 ml in 1 litre water. Foliar Spray : Mix 2 ml in 1 litre water. Seed Treatment : 5 to 10 ml per Kg seeds in sufficient quantum of water."